Android Reborn – We know that vibration can sometimes be annoying especially when it happens to our phone frequently. This is why many people prefer to turn off this function. But, can we do this to the fingerprint unlock vibration? Unfortunately not, nearly all Android devices will vibrate when we unlock them using the fingerprint sensor. There’s no option to switch it off unlike vibration for notifications. 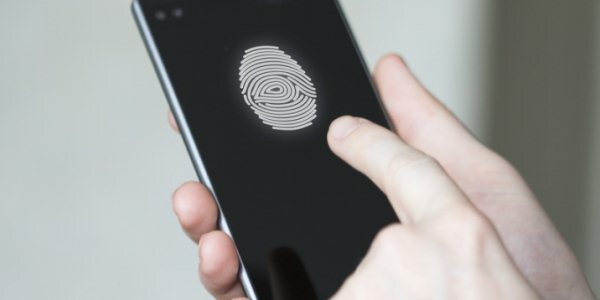 The trick we’d like to share is how to disable vibration on Android, but this hasn’t been proven for the fingerprint unlock. We need an app called app inspector. It’s available on the Google Play Store. You just have to install it. Install the USB drivers for the device you’re using. This is usually necessary if you use Windows. And then, download the ADB Binary for your operating system. Extract the ZIP file into a folder that you can locate easily, such as downloads. Head to Settings on your device, scroll down until you find the ‘About Phone’ section. Tap on ‘Build Number’ 7 times. This will launch the Developer Mode. Go back to the main menu and then get into the developer options. The next step is to enable USB Debugging Mode. You have to connect the phone and laptop using a USB cable. If you’re prompted with several modes, select ‘file transfer (MTP)’, not charge only. On the laptop, find the directory where the ADB Binary was extracted. Launch a command prompt right within the ADB directory. If you’re using a windows laptop, then to get there you only need to hold shift and right click. A context menu will show up on the screen, please select ‘Open Command Prompt Here’. Type in ‘adb.devices’ for ensure that the connection to the device is successful. There will be a prompt asking for authorization, just allow it. Re-run the ‘adb.devices’ command, so that you can see your phone’s serial number. Go back to the phone, open app inspector. Tap on app list > select an app you want to mute. Find the package right under the app’s name. Execute this command ‘adb shell’, followed by this ‘cmd appops set <package> vibrate ignore’. That’s the end of it, you’ll no longer feel vibration from that particular app. That’s how to disable vibration on fingerprint unlock.